At the bottom of the Garden: Oh no! 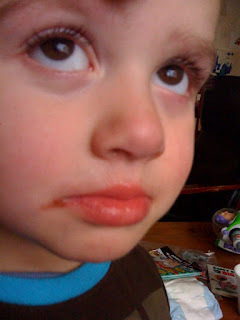 coldsores in littlies - is Zovirax a no-no? Horrible bloody things. Zinc and L-lysine help a lot.... but the only thing I've found to really work is getting in super early and icing the bejeebers out of them before they develop... which is near on impossible with a kid. Kate is right, 90% of population has the herpes simplex virus but don't get blisters. L-Lysine is great, low sugar diet and plenty of sleep.